Ken Dixon has worked in the insurance industry since 1990 and in that time has held various positions. He spent most of his career climbing the corporate ladder. Ken’s career for major insurance companies culminated in Area Manager roles before realising that insurance broking and being personally involved with his customers was his true calling in 2003. After 9 years of successfully contracting to another broking firm and developing a significant portfolio of business with deep client relationships, he decided to take his broad expertise to another level in 2013 by creating Dixon Insurance Services Pty Ltd. By aligning the business with licensee, Westcourt General Insurance Brokers, Dixon Insurance Services is able to provide Steadfast insurance products and buying power to customers. This affiliation allows unparalleled service to clients 24 hours a day. Toowoomba is widely regarded as the gateway to the Darling Downs and Surat Basin and is situated adjacent to the Lockyer Valley, close to Brisbane and Northern NSW. This central location places Dixon Insurance Services in a unique position to fully service their core clientele of large transport and logistics operations, residential and commercial construction, manufacturing facilities, engineering companies and diverse retail clients. 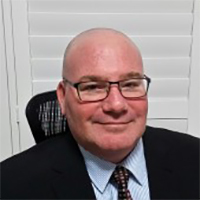 Ken is highly regarded in these demanding fields and delivers a very high level of business understanding to his clients. This includes delivery on asset protection structures, risk protection and management strategies to maximize policy protection for his clients. With additional professional experts available to provide accountancy services, financial planning and legal advice, Dixon Insurance Services is able to provide a professional, client focused financial services network to its customers. The benefits of modern technology now sees them servicing clients not only locally, but around Australia and beyond, specialising in Transport & Logistics, Mining, Manufacture, Engineering & Construction and Retail classes of risk. As an Authorised Representative Network designed and run to benefit the Authorised Representatives, Westcourt's results are now shining bright in the Australian insurance industry. AR’s have received national recognition for their achievements in 2013 and 2014. Westcourt General was also recognised with a Top 10 Brokerage award in 2013 & 2014. These achievements are not possible without the drive, vision and support of Jeff Hollands and his impressive team. Being an AR for Westcourt General allows us to focus on our clients and our business. We can now spend the time getting all the intricate details correct for our client’s benefit, knowing full well that Westcourt is managing the IT, ASIC/APRA Compliance, Marketing and Training issues in a professional and ethical manner. People are generally unsure about insurance. The truth is most people do not understand insurance. It is for this reason, Dixon Insurance Services exists. Ken and his team strive to protect our client’s assets and lifestyles and educate customers on how to maximise their cover and minimise the costs of their insurance policies. Insurance has grown to be one of the most demanding professions for those lucky enough to be part of this vibrant industry. In this technologically advanced and highly litigated world, it is insurance professionals like Dixon Insurance Services that do protect your modern lifestyle. When combined with an ethical approach to business, the integrity and service they display to clients has enabled the business to grow during troubled economic times. Allowing Dixon Insurance Services to look after your insurance program allows you to do what you do best…run your business to maximise your profit with the knowledge your assets and lifestyle are protected.